Get Lost in the History of MOUNT MITCHELL! Celebrate 180 years of MOUNT MITCHELL 1838 - 2018 Experience the historic country property MOUNT MITCHELL, through characters of the past. Historic tours of the estate, conducted by actors depicting the MOUNT MITCHELL personalities of significance. Explore 10 acres of superb garden rooms, parkland settings and National Trust listed buildings. Enjoy some traditional fare, experience a high or Devonshire tea. Old trades, farm and children's activities. Otherwise open by appointment for groups. Annual Rainfall avg: 687mm. Summer avg. 125mm. No. of rainy days: 44 Winter avg. 201mm. Enjoy the Victorian Pyrenees Mountain views and Australian farm life while staying at the Mt Mitchell Cottage. This beautifully restored blue stone cottage provides exceptional accommodation in the district. 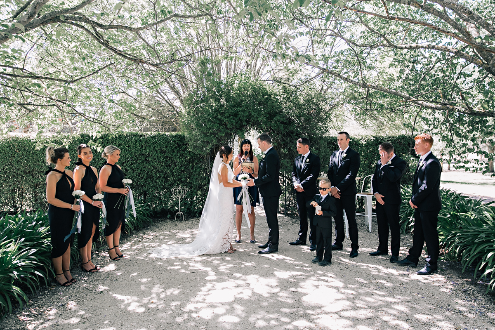 The Cottage is ideally positioned between the historical city of Ballarat (30 minutes) and the magical Pyrenees wine district. 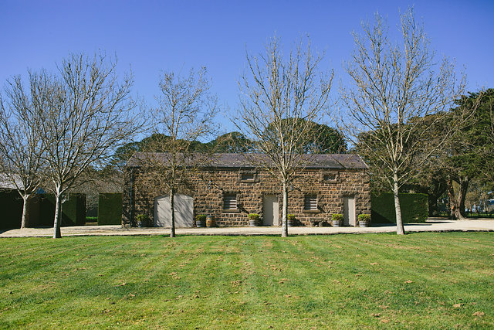 Located only 90 minutes from Melbourne, suggests a perfect weekend country retreat. Immerse yourself in the significant heritage property of Mt Mitchell. 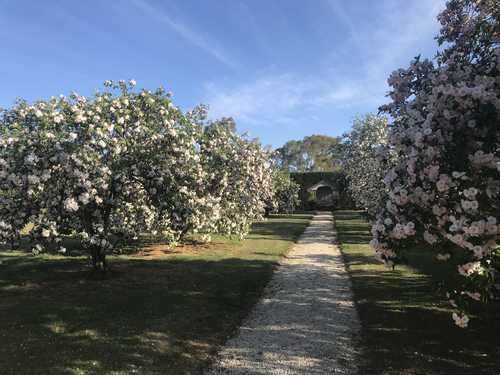 Explore the 10 acres of beautiful and productive gardens; walk through the paddocks to explore the property's lake and winding creeks and engage in some of the farming activities. 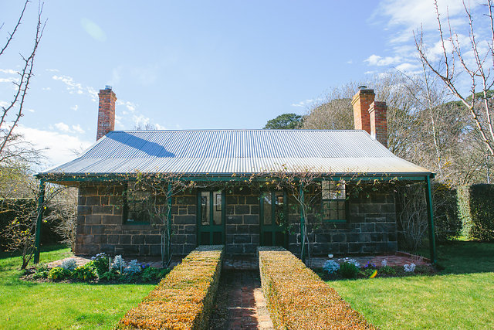 Mt Mitchell Cottage is ideal for couples desiring a romantic getaway or a family keen to experience country life. Guests can request complete privacy or be included in busy farm action. 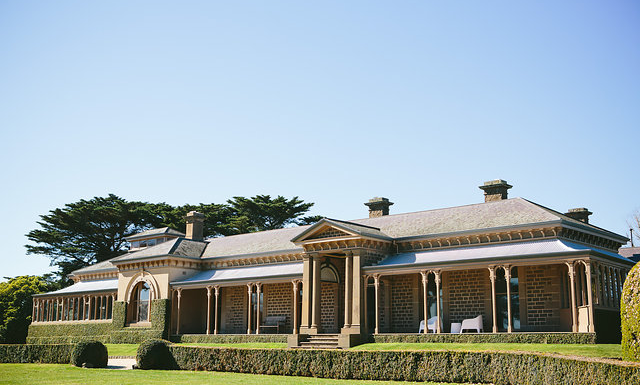 Collect your own eggs, catch a yabby, harvest some fresh vegetables from the impressive kitchen garden and pick fruit off the trees in the orchard. Base yourself at Mt Mitchell while touring the regional sites.